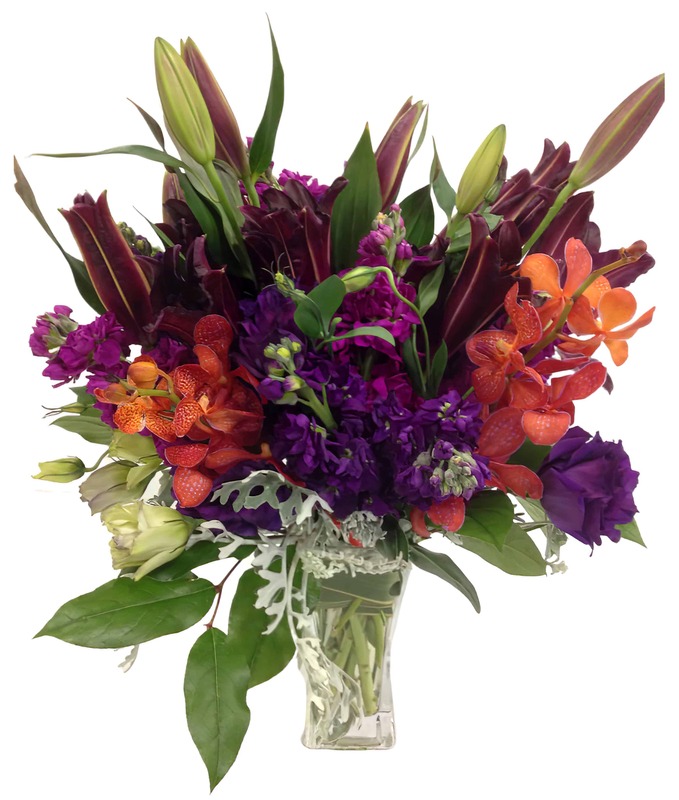 Real berries on the vine bring this arrangement to life and the vibrant colors of the Sumatra Lilies, Stock, Lisianthus and Hydrangea in reds, pinks and purples are sure to delight. This arranagement is full of color and wonderful smells! It's sure to bring a pleasing smile to your guests or that special someone when used to celebrate just about anything...including a beautiful sunny day!